To celebrate this occasion, we have decided to put out limited-edition “Sharp Sansuke” with Mori Art Museum logo for sale at the Museum Shop. 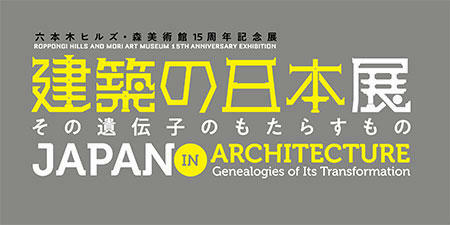 The exhibition is currently on view until September 17, 2018 and it is open until 10:00 p.m. everyday (except Tuesdays). 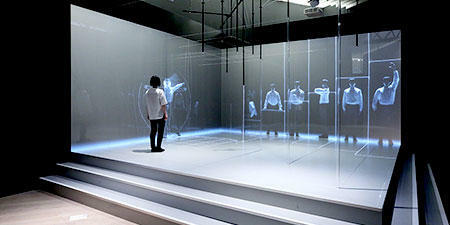 Come and visit us with your family and friends and be sure not to miss the exhibition. “Sharp Sansuke” is a combined model of triangular scale (in Japanese sankaku sukeeru, or sansuke for short) - familiar to those who have worked in or studied architecture, design, engineering etc. - and mechanical pencil. 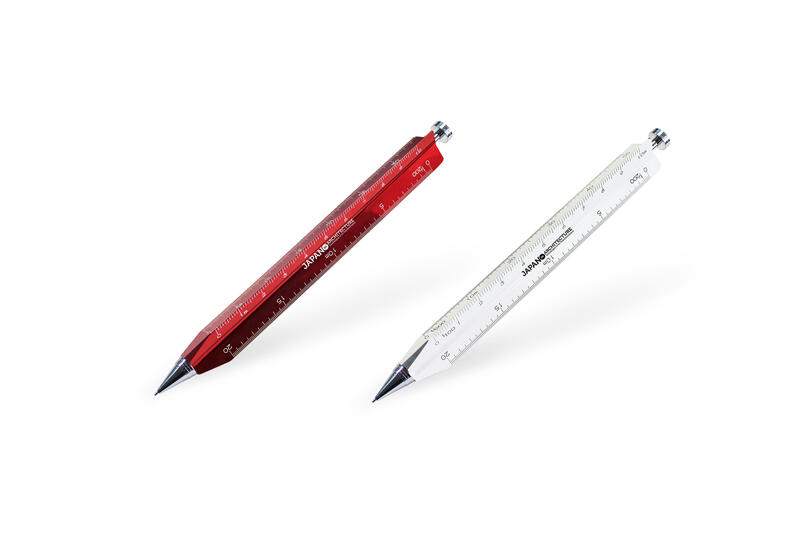 Our limited-edition “Sharp Sansuke” is in two color variations, red or white, Mori Art Museum logo’s basic color, 50 stocks each, wishing that the number of the visitors would exceed 500,000 in the near future. - Get the “Sansuke (Triangular Scale) Discount”! 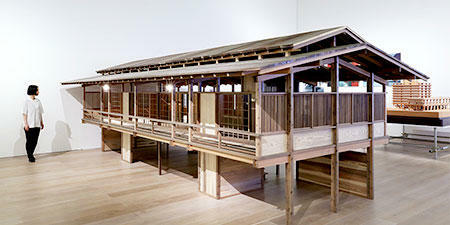 Bring your “Sansuke” when you come to see “Japan in Architecture,” and receive a discount on admission! “Sharp Sansuke” also works!